Janine Wolstenholme is an experienced advocate. She undertakes advisory, drafting and advocacy work, across all aspects of casualty litigation. Clients enjoy a high level of service and particularly appreciate her forensic, holistic and tactical approach. Janine Wolstenholme has many years’ experience in casualty work acting for Claimants and Defendants. 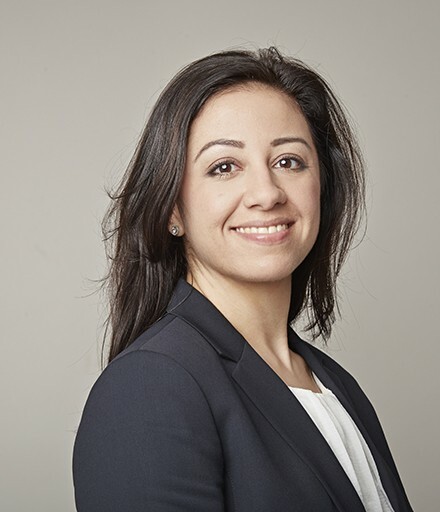 Her practice includes injury, both bodily and psychiatric, and consequential loss arising out of clinical negligence, personal injury, employers’ liability, disease, occupiers’ liability, highways, product liability, accidents abroad, and motor claims (including MIB). She has a genuine and long-standing interest in claims involving secondary victims and nervous shock having completed her undergraduate dissertation in this field. She has experience of low value claims through to large loss actions following surgery (emergency, orthopaedic/routine and cosmetic), inadequate post-surgery care and treatment, delayed and failed diagnosis, neglect, as well as claims involving compulsory detention and mental health. Janine has a particular interest in incidents resulting in loss of life, particularly those concerning children, protected and vulnerable parties. She undertakes work at all stages from initial advice through to JSMs and trial, including inquests (coroner and jury), and fully contested multi-track trials and appeals lasting several days in the High Court. A significant proportion of Janine’s current practice includes acting for NHSLAs, insurers, local government and, since her appointment as Junior Counsel to the Crown, Regional Civil Panel, in 2010, she is regularly instructed by the Crown and various State departments, both ministerial and non-ministerial. Janine accordingly has an acute understanding of the wider, potentially lasting, implications that may arise in any given case, whether it relates to policy or because of political and media interest and scrutiny and approaches every case with such matters in mind. Janine has a significant coronial practice and is accordingly able to offer continuity of service from a very early stage in proceedings and across jurisdictions. Instructed to defend a claim for damages arising out of the baby ashes scandal. Defending a claim for damages (pleaded up to £5m) for psychiatric injury and associated losses (including loss of business) following alleged misfeasance in public office and malpractice. Defending a claim for judicial review, brought against a coroner, for his refusal to conduct an Article 2 inquest and sit with a jury, in respect of the death of a very young child who passed away having developed septicaemia. Janine Wolstenholme is an experienced advocate. She undertakes advisory, drafting and advocacy work, across all aspects of general commercial and civil litigation. Clients enjoy a high level of service and particularly appreciate her forensic, holistic and tactical approach. Janine is regularly instructed by insurers in relation to a broad spectrum of indemnity disputes involving different types of insurance, including motor, casualty, business and property. She regularly drafts pleadings, provides advice and appears in court. Many of her cases involve indemnity concerns, policy avoidance, statutory, contractual and common law recovery, and declaratory relief, including under the Road Traffic Act. She is also experienced in the sale and supply of good and services, product liability, latent defects, consumer protection, premises liability, property damage, and nuisance. Janine has significant experience in fraudulent and suspicious claims, including all aspects of exaggeration, deceit, injuries at work, slippers and trippers, staged/contrived road accidents, including stooge and ghost vehicles, ‘slam-ons’, bogus passengers, credit hire, and low-velocity impact (LVI). “I have had the pleasure of attending a 4-day trial where Janine conducted the advocacy in an action brought by the policyholder against their insurer, which we defended on fraudulent grounds. Janine’s skills in cross-examining the witnesses, and luring them into a false sense of security, was absolutely fascinating; needless to say, we successfully defended, with a finding of fraud. Janine is down-to-earth and her client-care skills are second to none. She is clearly passionate about her work and enjoys what she does, and this is reflected in the level of service received. I would not hesitate to recommend her.” – Commercial Litigation Partner, Top-100 law firm. She instructed across the whole spectrum of court hearings, in both the County and High Courts, dealing with a variety of issues from short applications to contested multi-track trials and appeals lasting several days. Janine is well versed in preliminary and interlocutory matters including, for example, CMCs, CCMCs, allocation and directions; applications for expert evidence; adding/substituting parties; resiling from admissions; setting aside judgments; abuse of process, strike-out and summary judgment applications; committal for contempt together with associated costs arguments.